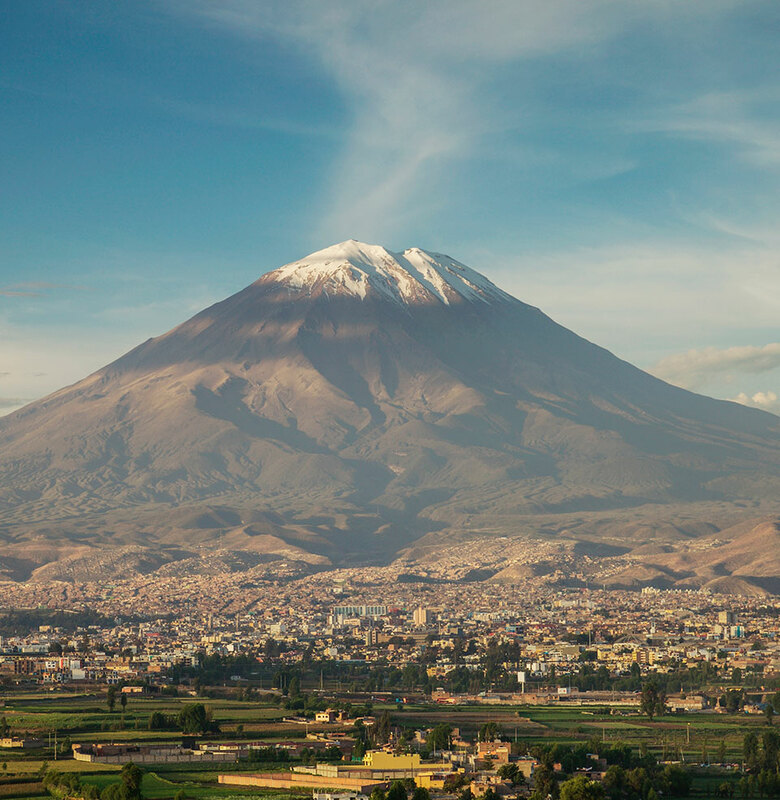 Arequipa, the second largest city in Peru, is situated in the Andes and surrounded by three imposing volcanoes. 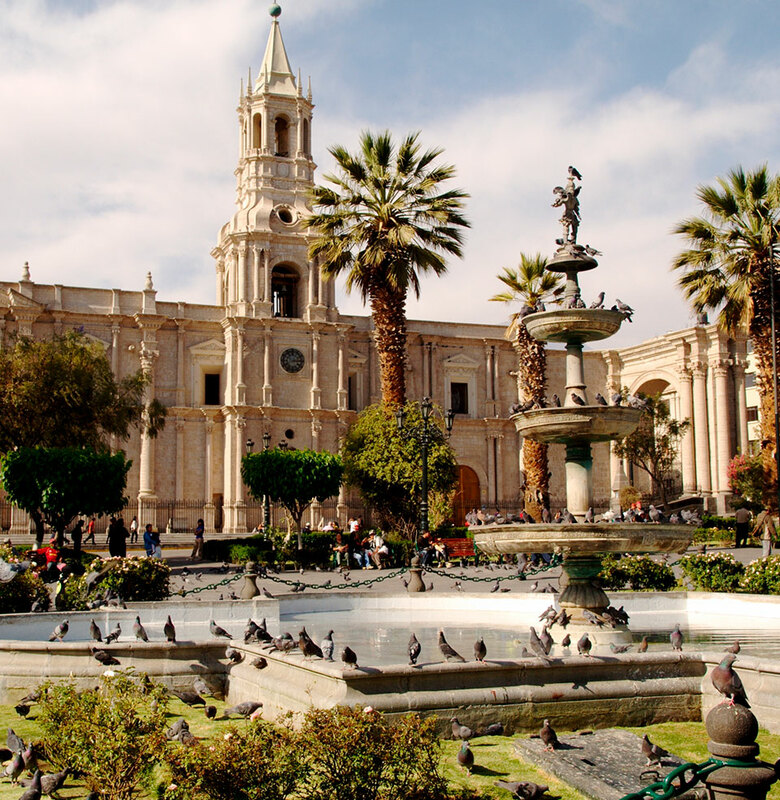 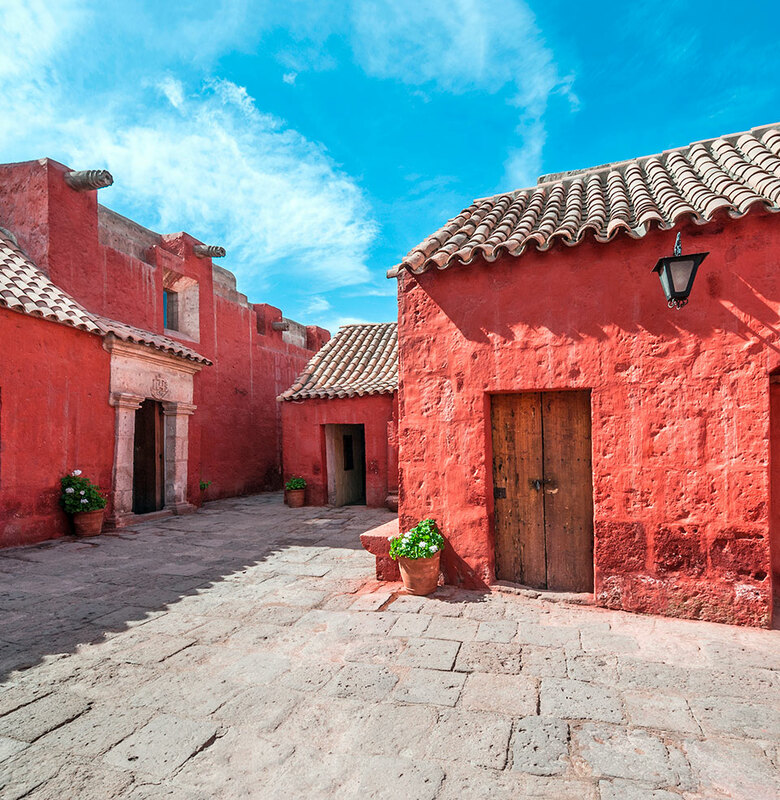 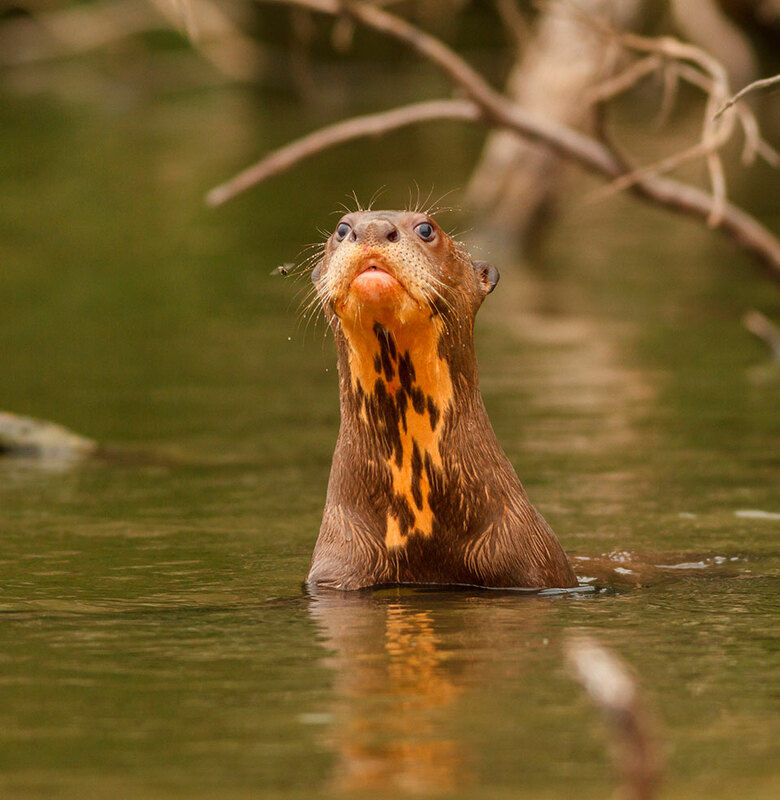 An enchanting mini-metropolis colored by a mix of Andean culture and Spanish colonial architecture, Arequipa also boasts one of the finest examples of Peruvian cuisine. 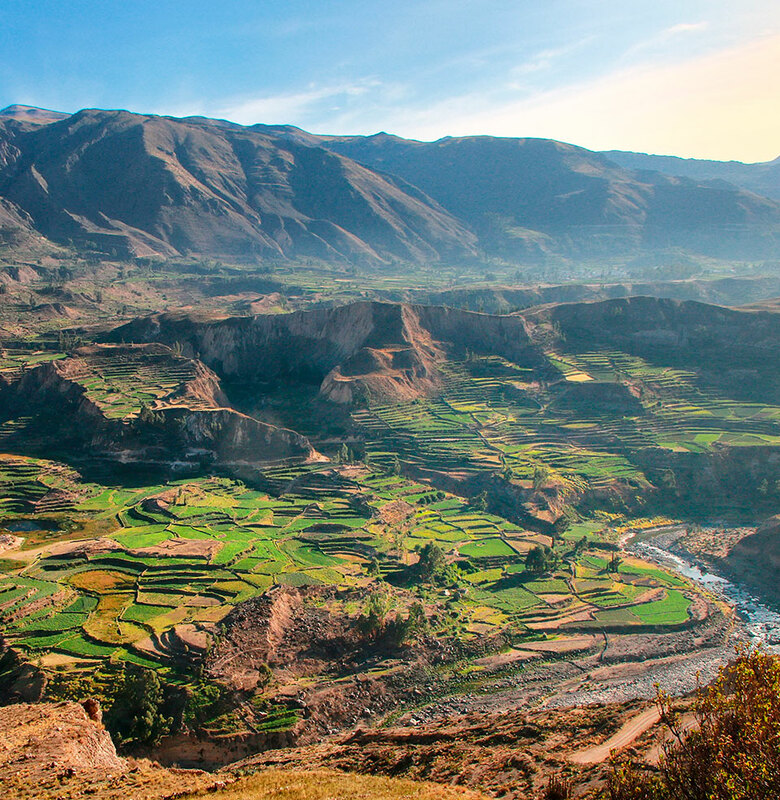 An additional excursion to the famous Colca Canyon, one of the deepest in the world, is a short drive away and can be arranged at your request. 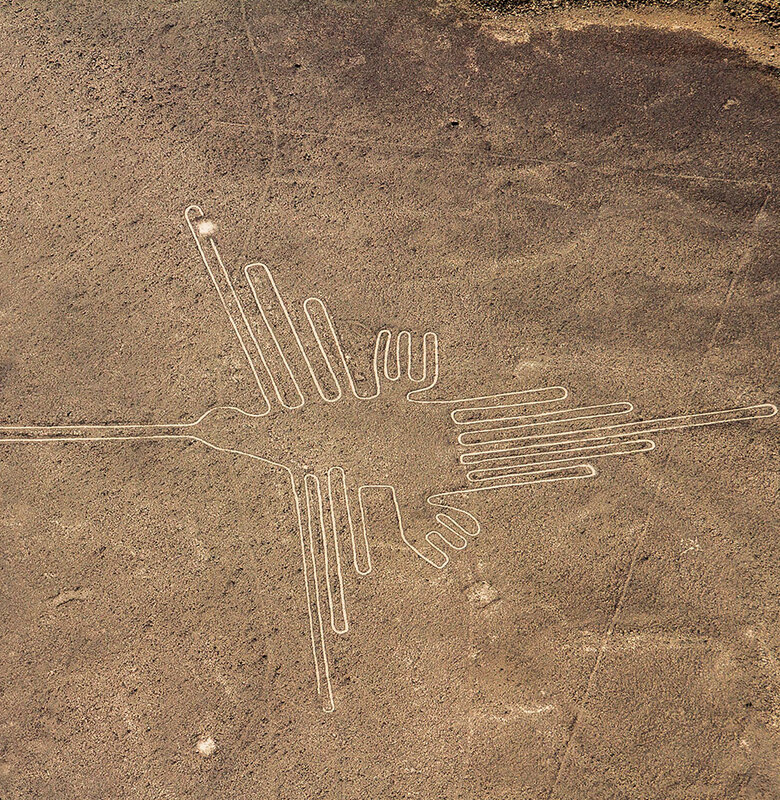 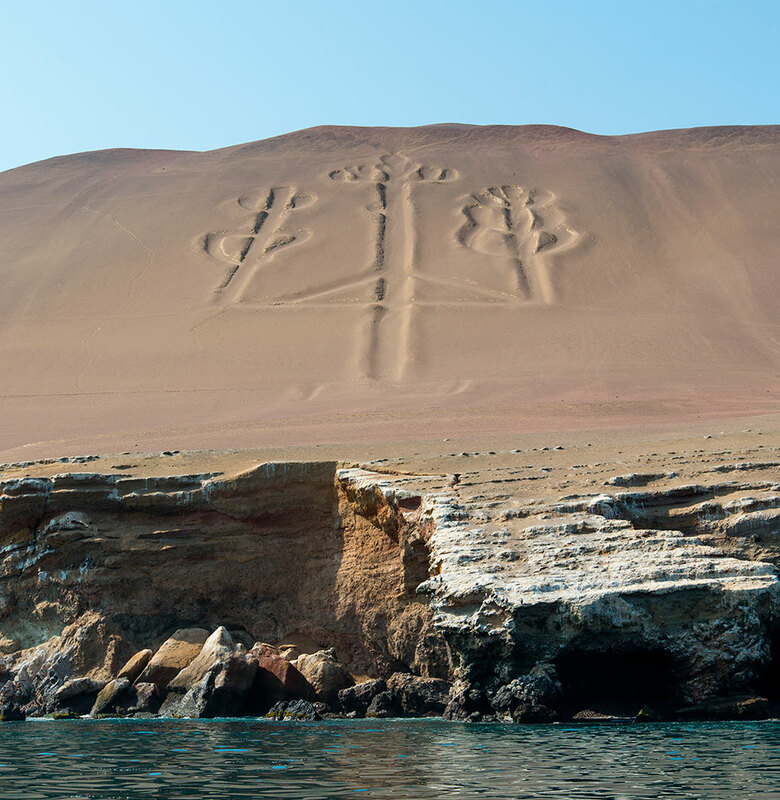 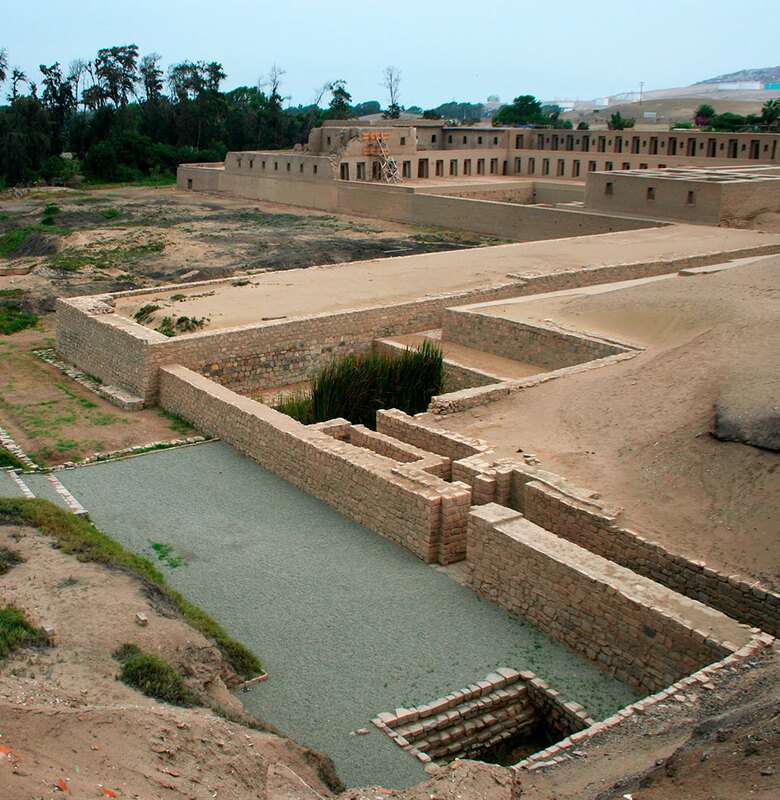 Dating back to 400AD, the Nazca Lines are a series of ancient geoglyphs located in the Nazca coastal desert. 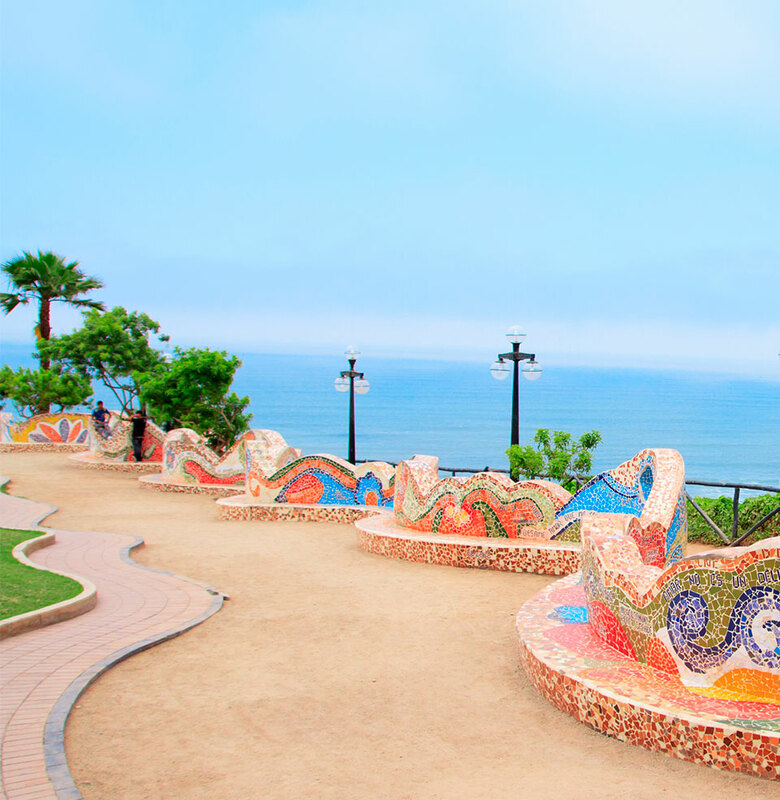 See hundreds of individual figures come to life from your perch high above the desert floor. 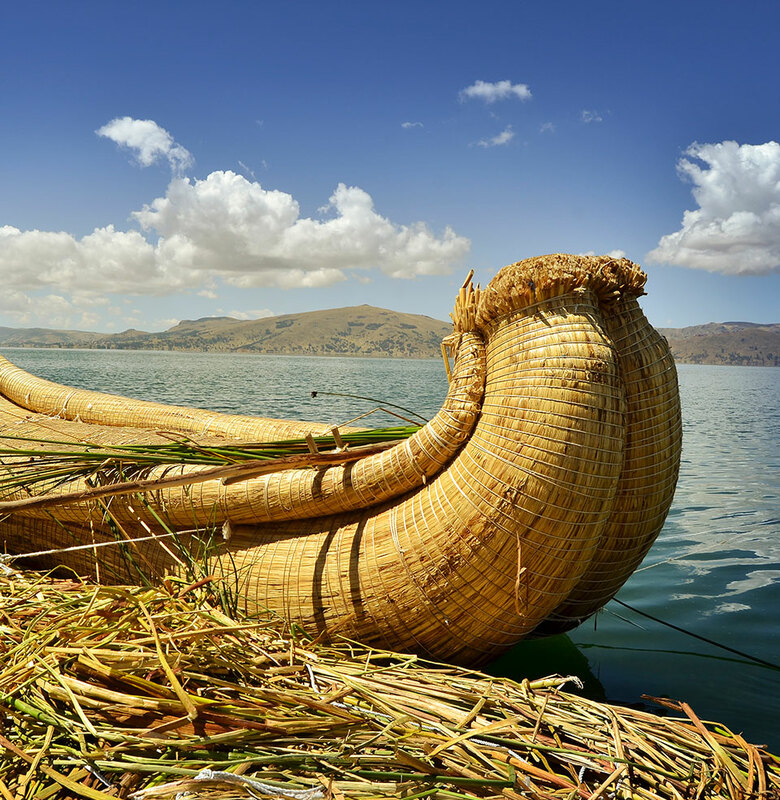 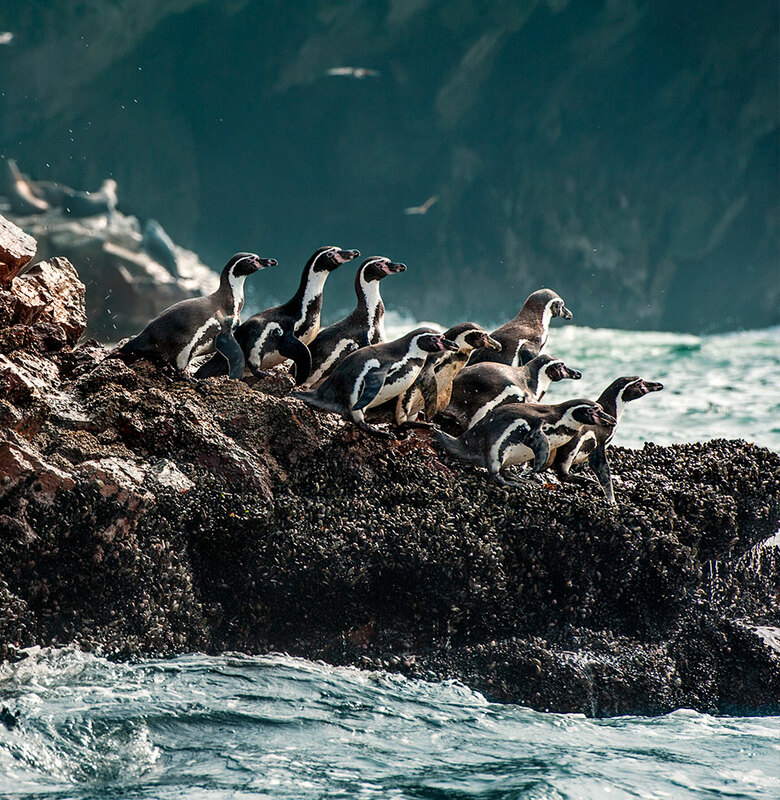 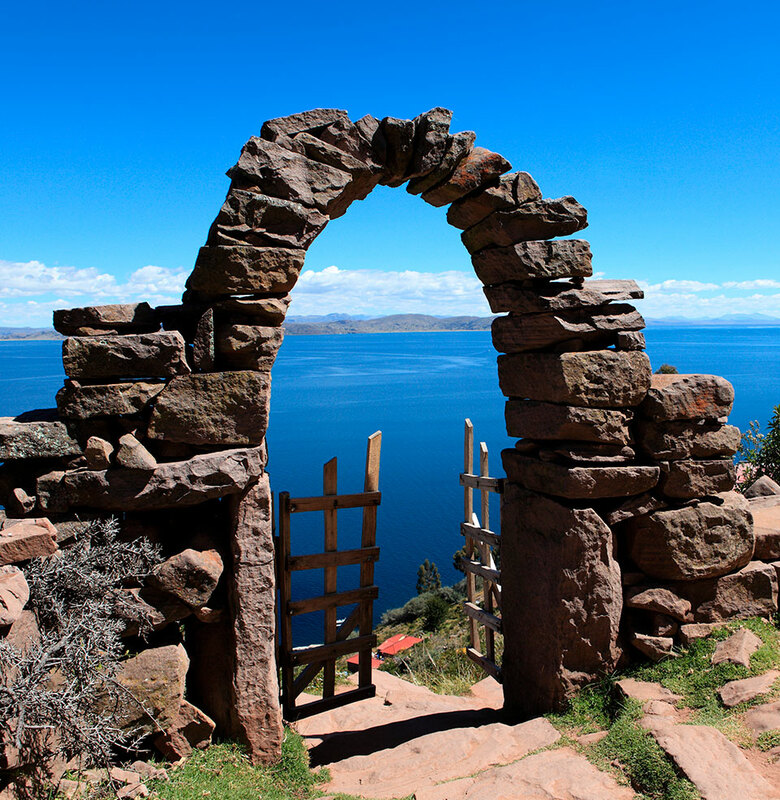 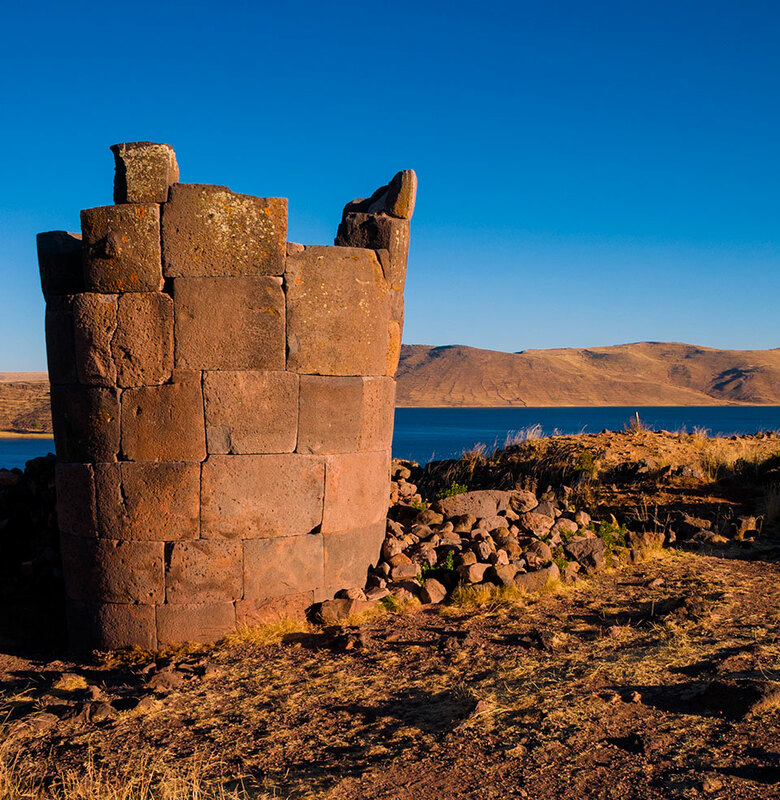 Lake Titicaca, the largest lake in South America, is renowned for its glistening sapphire-blue waters and other jewel tones of its local countryside. 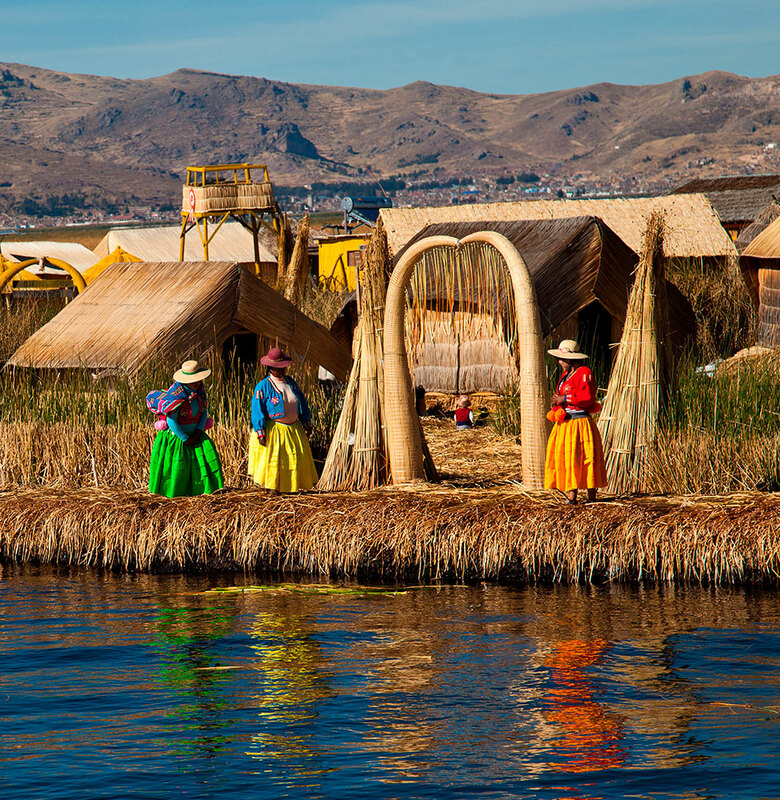 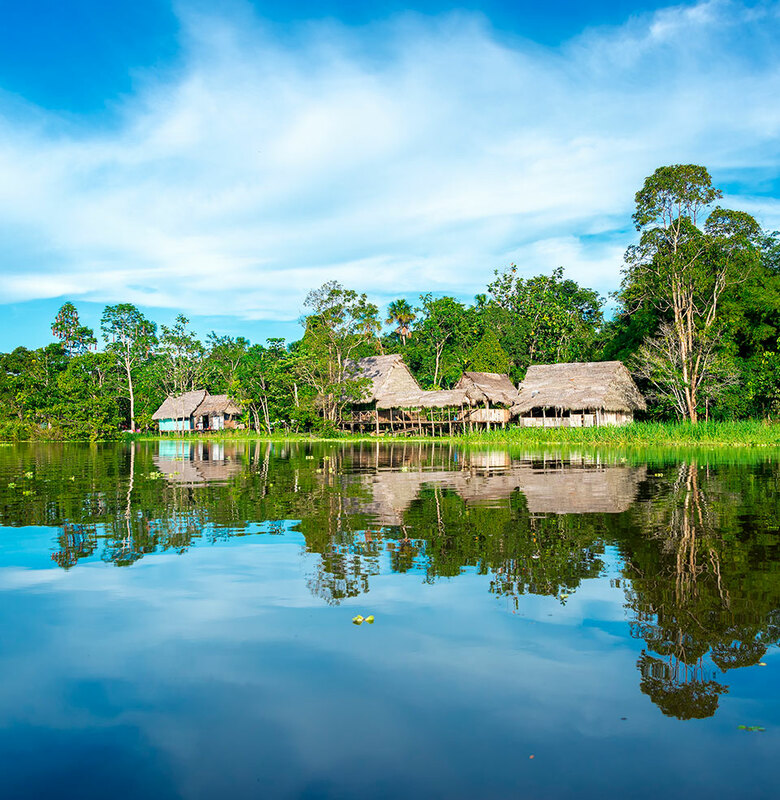 The lake is most notable for its unique floating islands, home to more than 1,200 people of the the region’s Uros community. 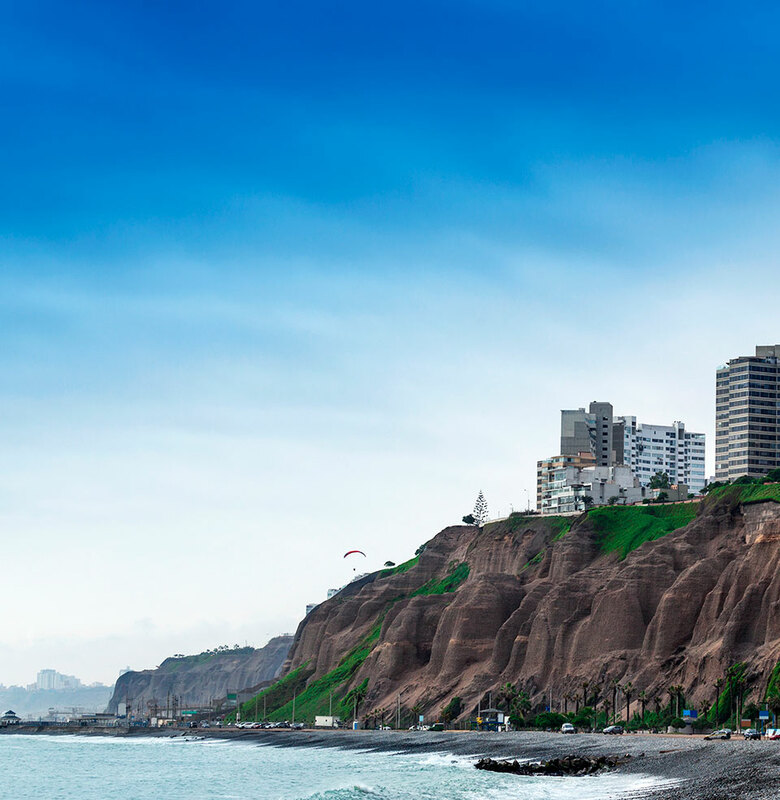 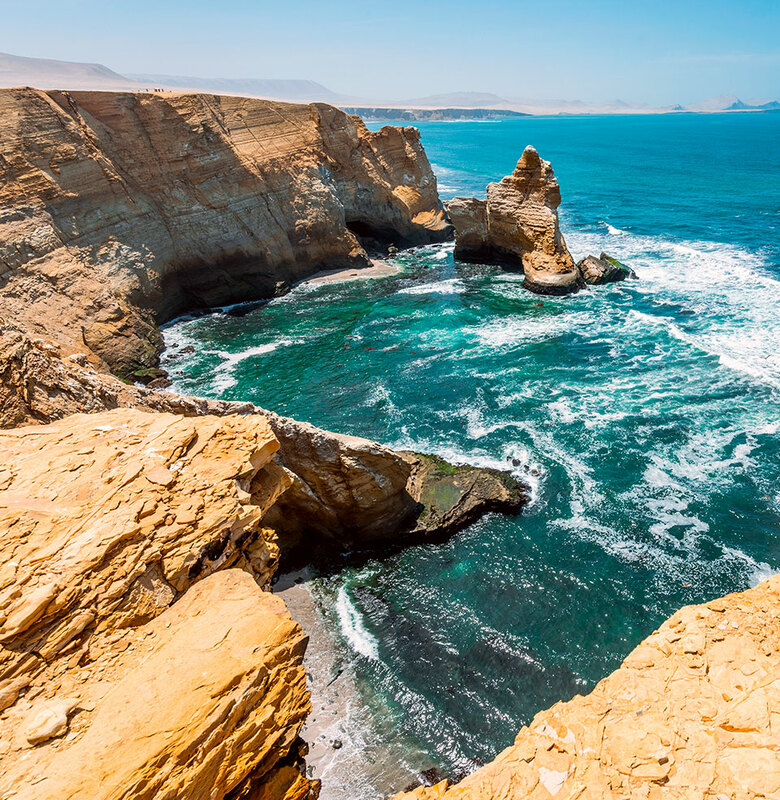 Situated in the central coast region of Peru on the shores of the Pacific Ocean, Lima is the country’s capital and largest city. 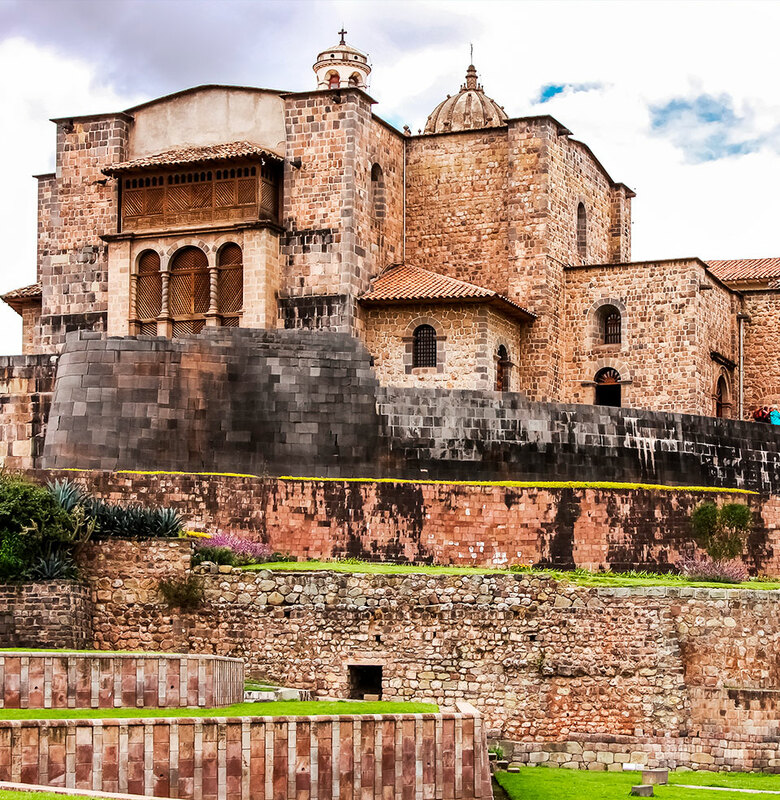 Founded by Spanish conqueror Francisco Pizarro in 1535, it became one of the most powerful of the Spanish dominions in South America. 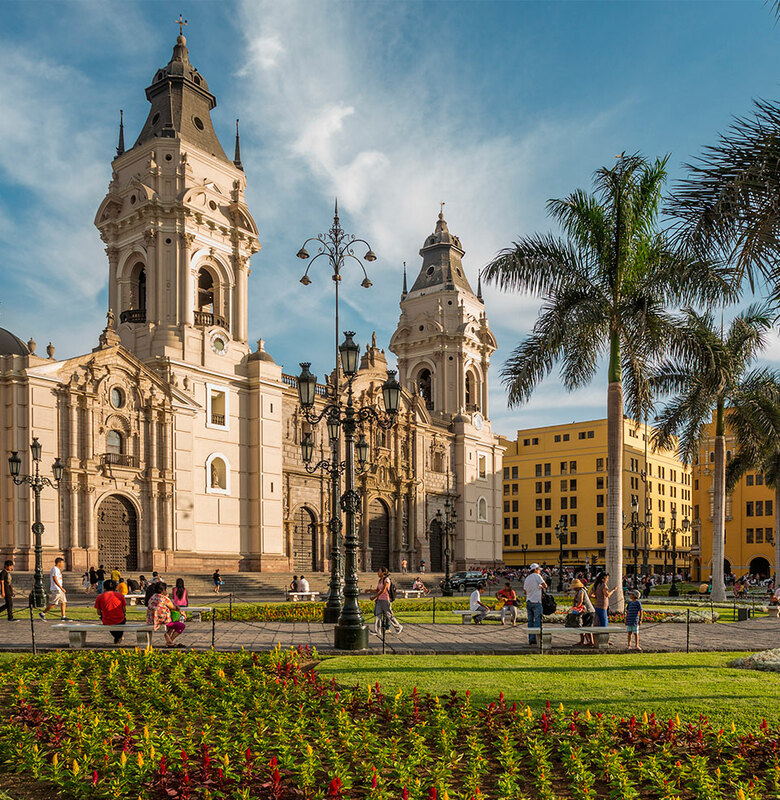 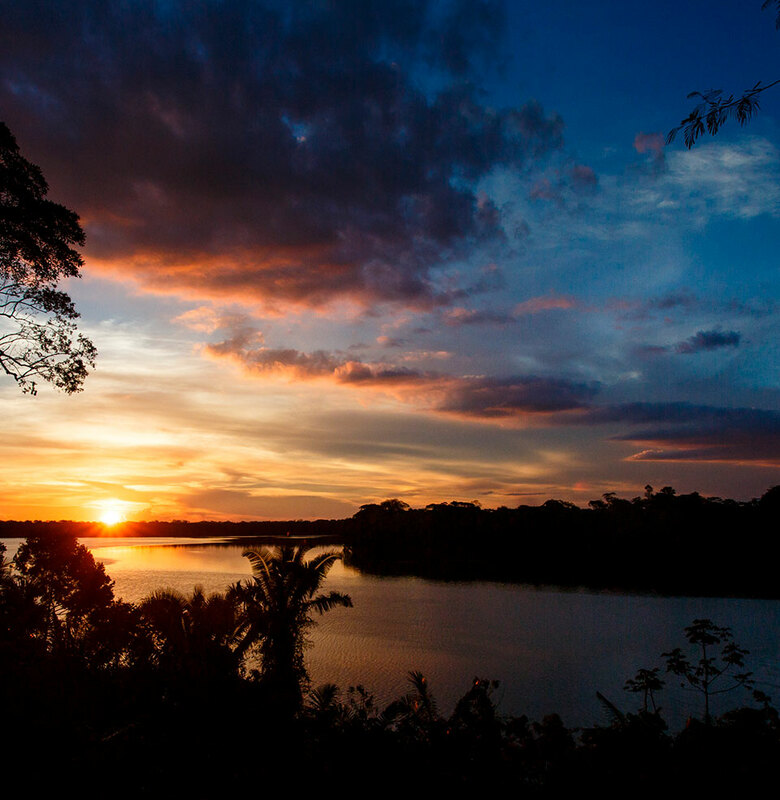 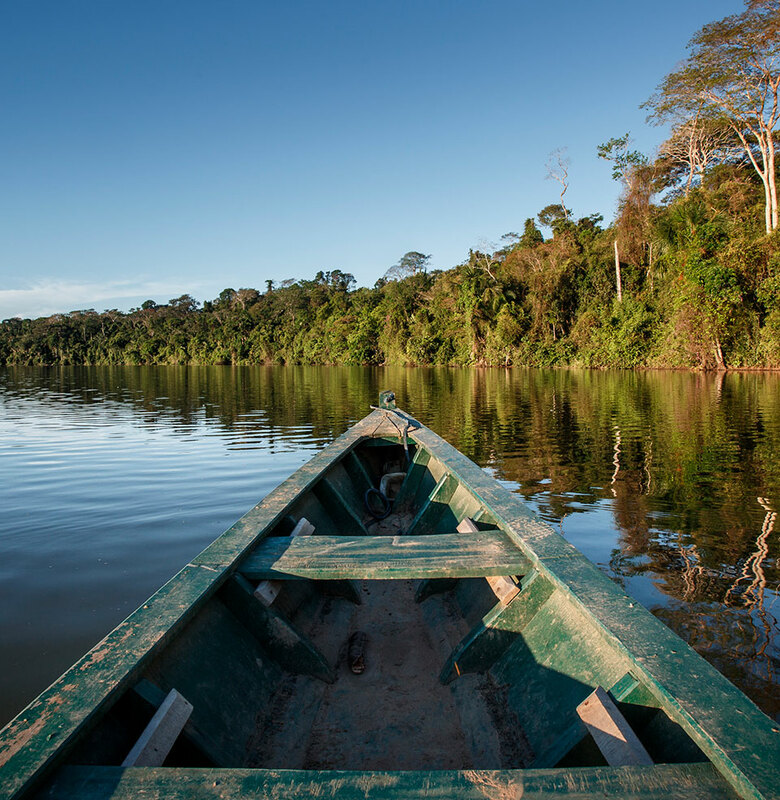 Discover this historical “City of Kings” with its vibrant metropolitan areas and world-famous cuisine. 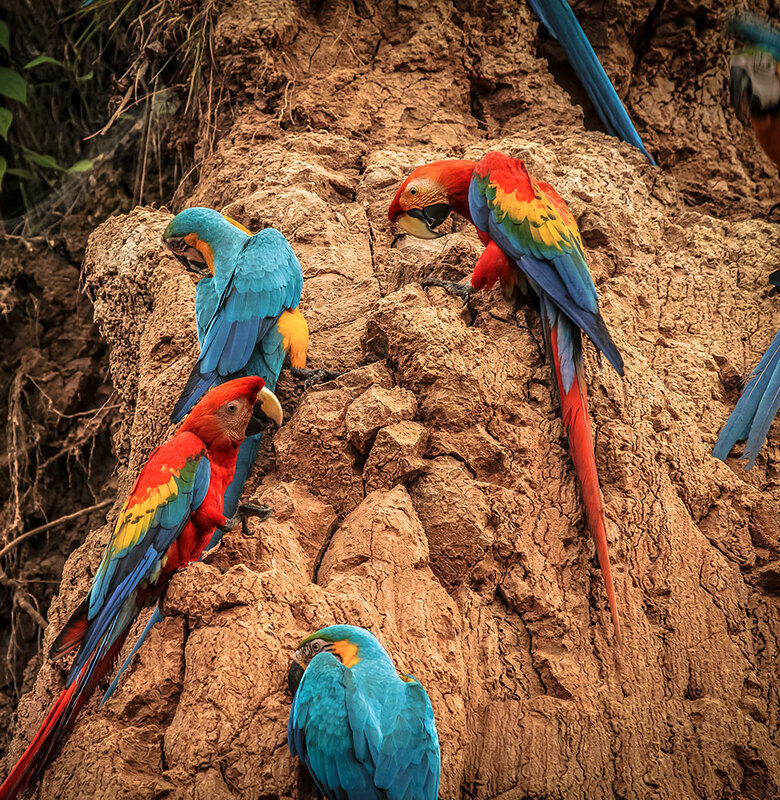 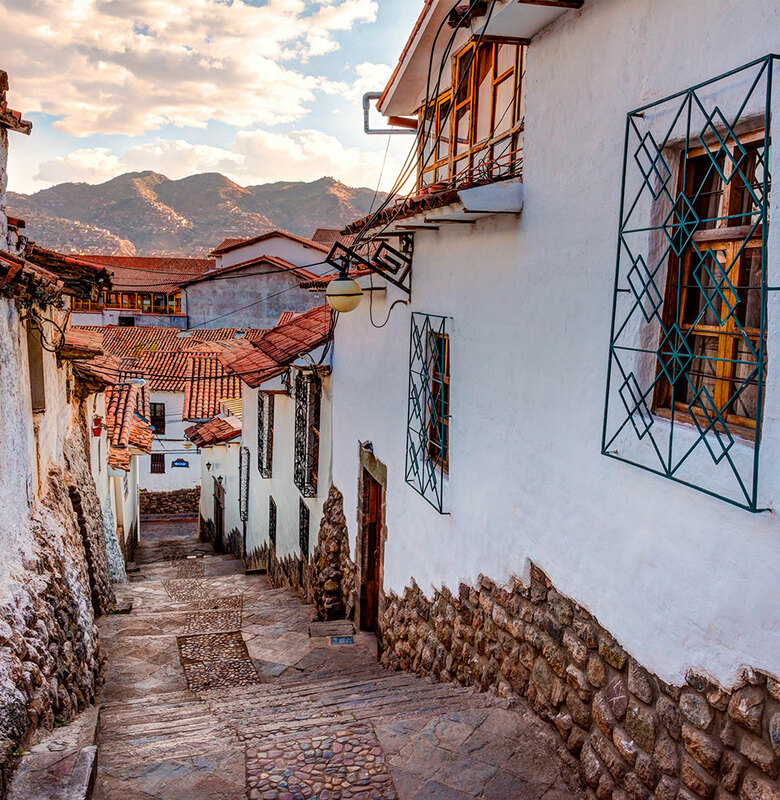 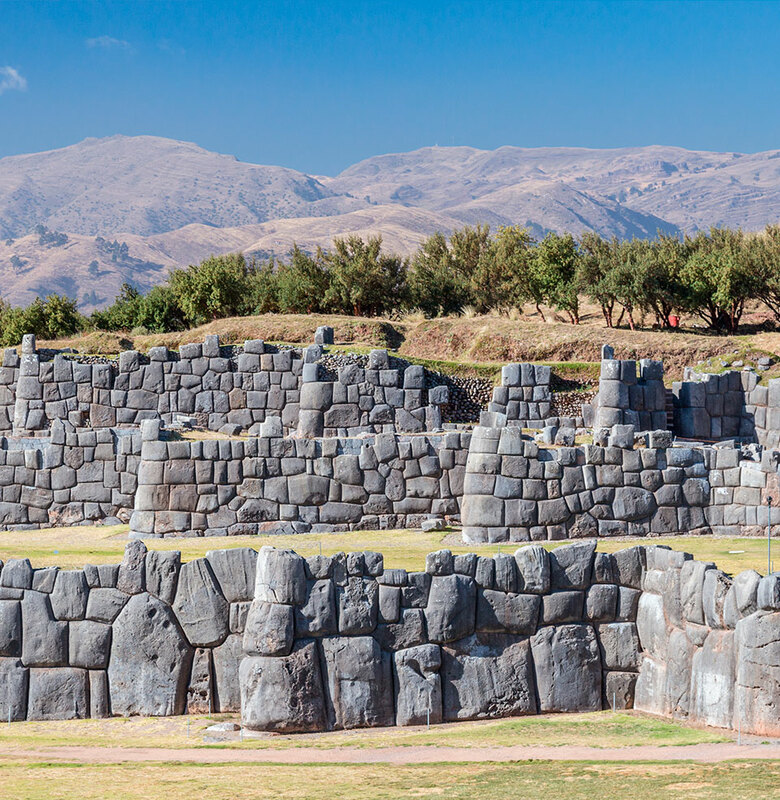 Spend a few days in Cusco, where international travelers mingle casually with city locals and Quechua people dressed in traditional Andean costume. 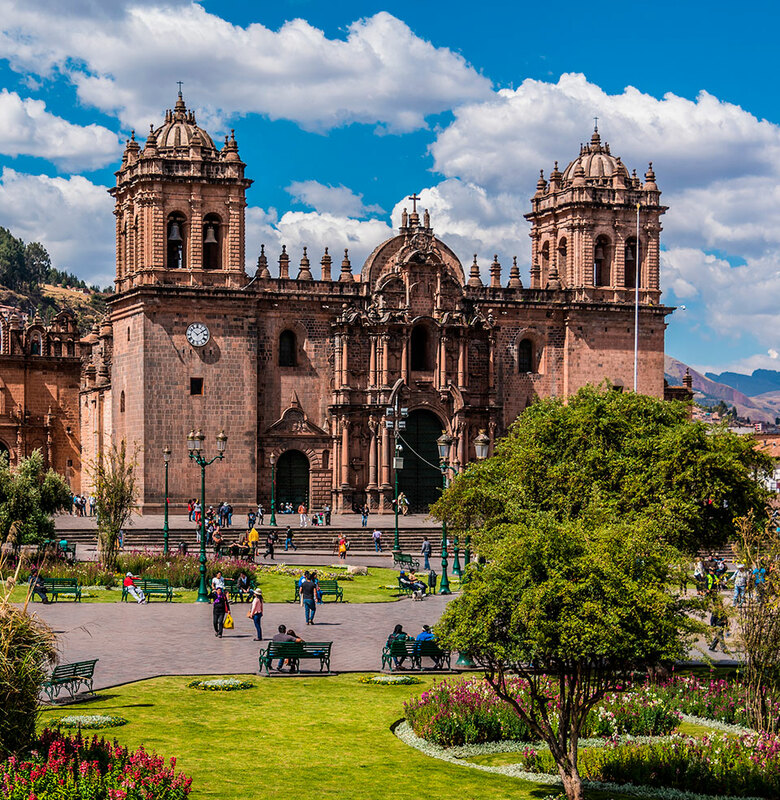 The picturesque town squares and bustling street markets are the perfect spots to glean your initial impressions of the region before your MLP adventure.